Shri Krsna Urja Project Ltd.
Shri Krsna Urja Project Ltd. is engaged in tower manufacturing, PCC pole manufacturing, logistics and turnkey projects. we are category ‘A’ vendors to Rajasthan discoms JVVNL, jdVVNL and AVVNL (Jaipur, Jodhpur & Ajmer). We are approved with Powergrid, GETCO (Gujrat), RVPNL (Rajasthan Vidyut Prasaran Nigam), MSEDCL(Maharashtra), PSEB(Panjab), HVPNL(Haryana) etc..
Our clients are L&T, Alstom, TATA, ABB, Waaree, Sterling Wilson, REIL, A2Z, Lucky, Skipper, Angelique, Blue Star, Fedder Llyods, KEC, KMG and many utilities. 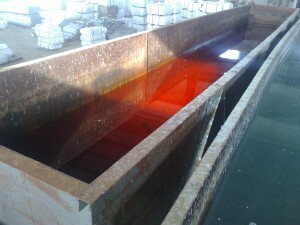 The plant is LOCATED IN Sitapura in a plot of 6000 Sq. Yd. Approx. There is a built up area of approx. 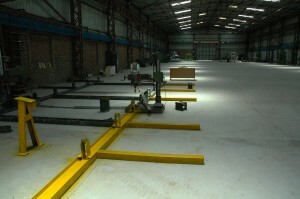 25000 Sq. ft. 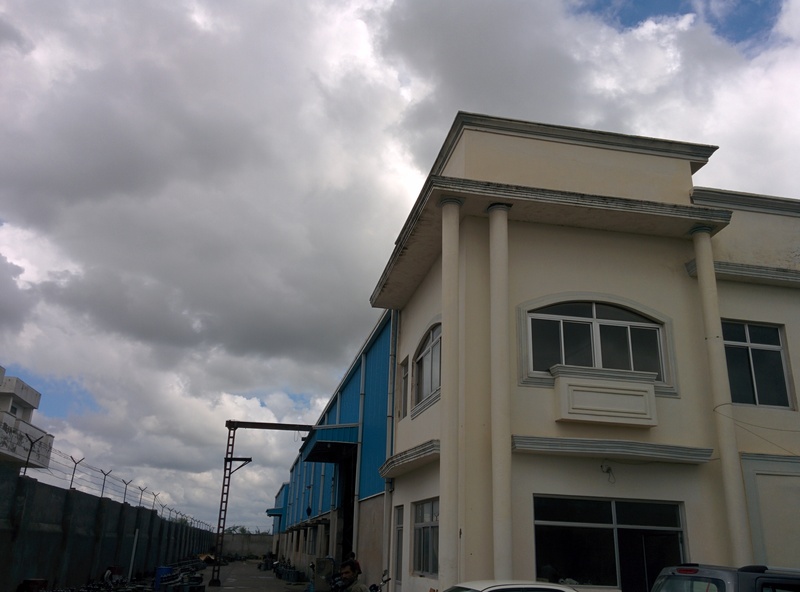 The Factory Shed has been constructed in strong robust and aesthetically appealing design with high roof height, column-less interior, Galvalume color coated Cladding sheets, Trimex dewatered concrete floor, and well designed electrical layout. 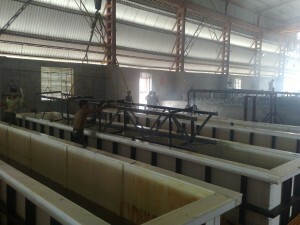 The plant is designed to manufacture 2000 Transformers per month. 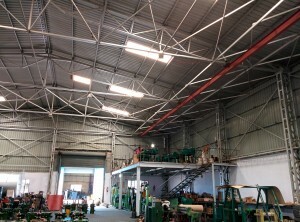 Plant has been designed for achieving economy in material handling logistics, lighting, power consumption and man power usage. SKSUPL factory has full range of processing which includes core cutting and wrapping, manufacture of wound core, annealing of CRGO, Coil winding, Core Coil Assy., Tanking, Painting, Pressure testing, quality assurance and final testing of Transformer. 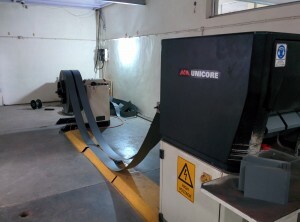 AEM Unicore Machines which gives precise and trouble free core cutting and machining capability, Robust and easy to operate. Electric Annealing Furnace, electrically operated Baking Oven with capacity of approx. 2000 transformers per month, Pressure Roller Coil Winding Machine, large nos. of HT & LT Coil Winding manual machines, own fabrication shop consisting of Power Press, Shearing Machines, Circle cutting Machine, Hydraulic Press etc. and sufficient no. of MIG welding machine. 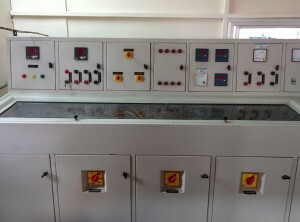 Testing Lab consisting of Power Meter of both Single Phase and for 3 phase meters along with Conventional type Test Bench. 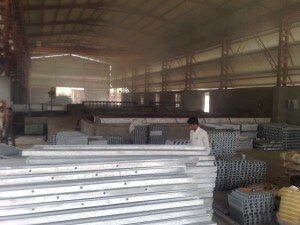 We are manufacturing Galvanized distributions tructures, galvanized sub-stations & galvanized towers. Our facility is equipped with cropping, punching, embossing, drilling & bending stations. Our experience in the same is 25 years. Our team consists of highly experienced individuals. 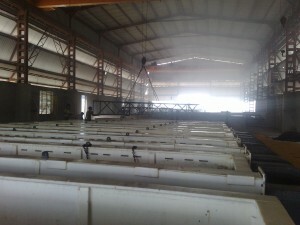 The galvanizing plant is located in Newai, and its size is 8mtr.